Experience 3 Digital Signage Applications in1 Tour - Seeing is believing! Winmate has worked out plenty of solutions in field applications for years, like museum, zoo, kitchen, education, campus...etc. 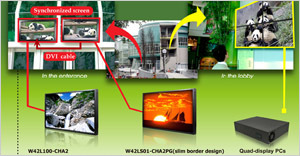 During Computex 2009, Winmate invites you to see, touch and experience these solutions by yourselves. 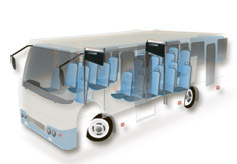 Enjoy the ride in a comfortable Tourist Bus, equipped with Winmate's Bus Bundle, that introduces special places by GPS automatically, promotes special events and helps the tour guide with videos from special locations. What other environment can be so rough than an application in the Zoo,.. where everyday many kids, school classes and families come to visit..? Winmate has sponsored Taipei City Zoo the Full IP65 Standalone Outdoor Interactive Digital Signage, 42" Outdoor Displays and Video Wall with 4 Displays, that allows the waiting guests for the Panda-house to be informed in advance, and make the waiting a little more fun,.. these solutions are Education, Information and Queuing processing in one! Be astonished by the Chinese Culture University's brand new Auditorium with 200 seats of interactive communication units from Winmate. 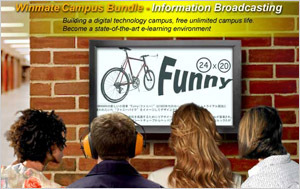 These 7" Panel-PC's allow each participant to interact, vote, surf, read the PPT files, aso. during the presentation. This is the most up to date technology in seminar and meeting rooms! 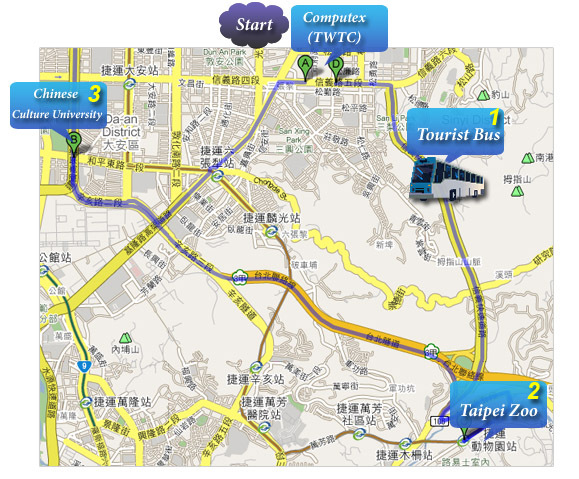 The Chinese Culture University also combines many other technologies, which they will introduce you there! Please come and see the amazing applications of Winmate's products. Register today, to ensure your seat, as we have very limited space!